This playful little bun, standing so proudly, shows off the pretty pink egg she found. 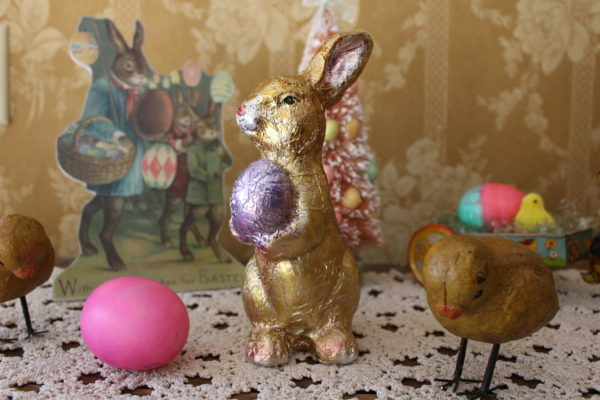 Made of paper pulp and wrapped in foil, this bunny is sure to brighten and add spring spirit to any home! Her festive nature makes her the perfect addition to your Easter display too. Fun gift idea! Looks like a real chocolate bunny, but isn’t. Foil wrapped bunny made from paper pulp. This bunny measures approximately 7″ high.